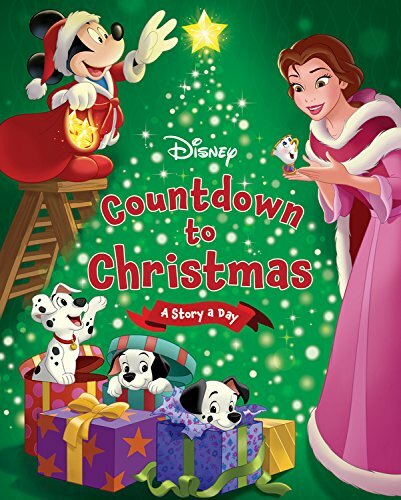 Let the Christmas Countdown begin! This weekend, we put up our Christmas tree and brought all of the decorations up from the basement. My daughter started a new Christmas puzzle, and she started making her Christmas list. 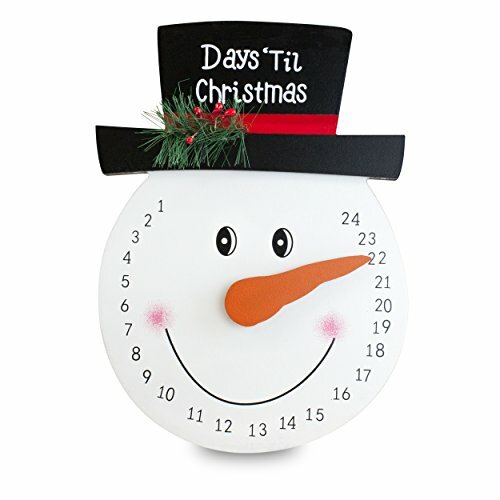 Are you counting down yet? 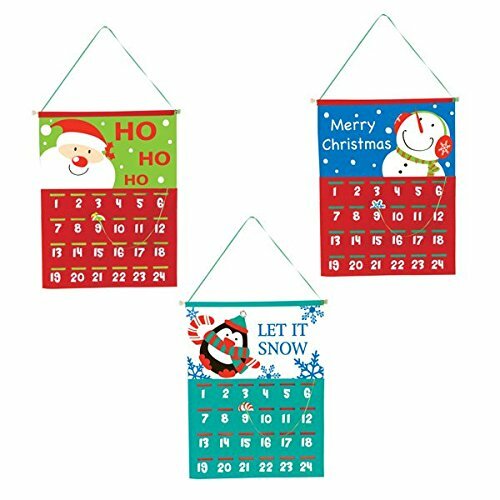 Have your little ones started compiling their Christmas wish lists? If not, I can help you out! 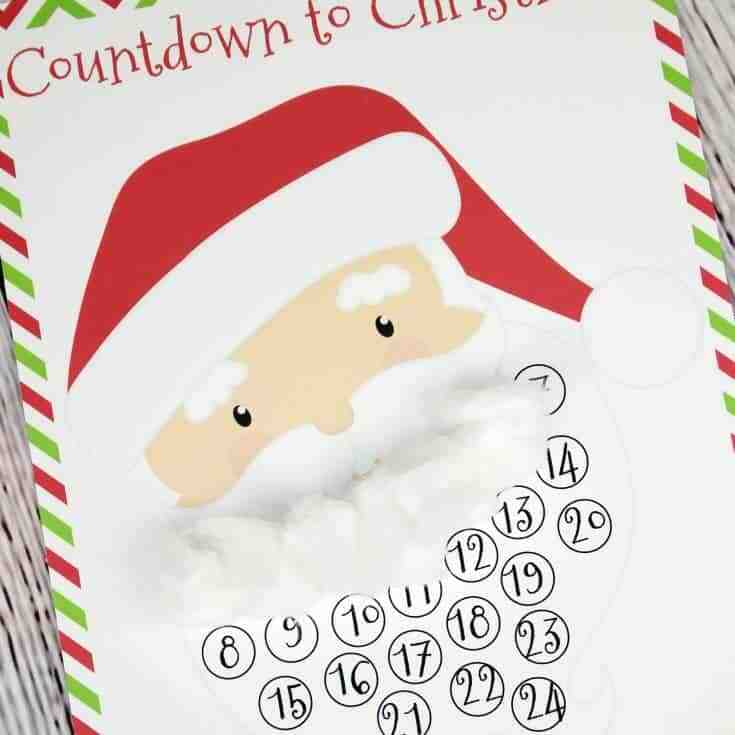 I’ve created a fun printable Christmas countdown page your preschoolers will love! 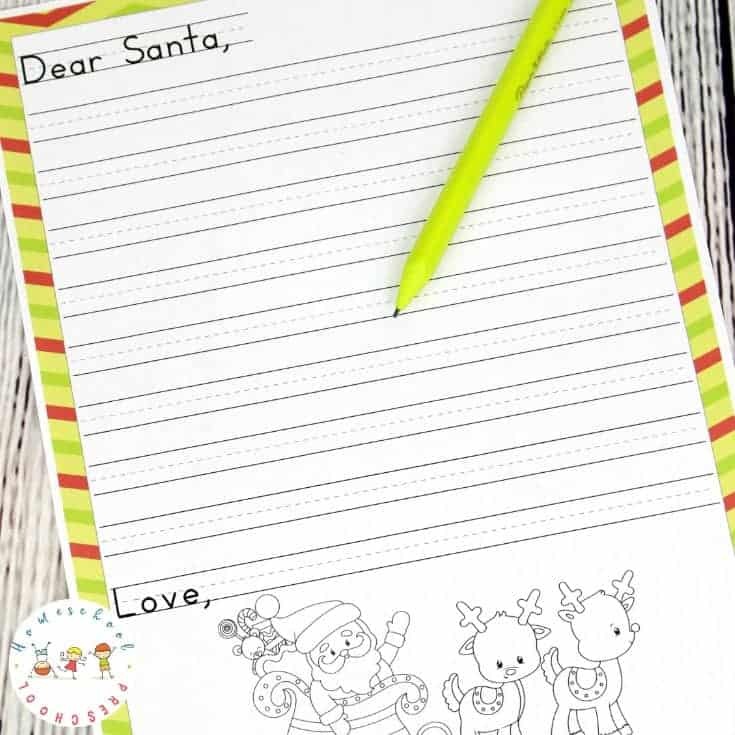 And, I’ve got a Letter to Santa template your kids can use to write out their wish lists. 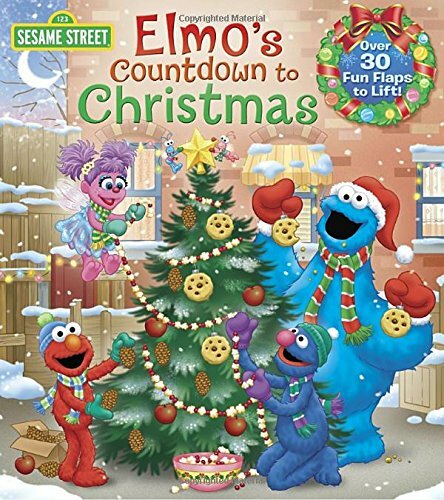 Counting down to Christmas is so exciting! 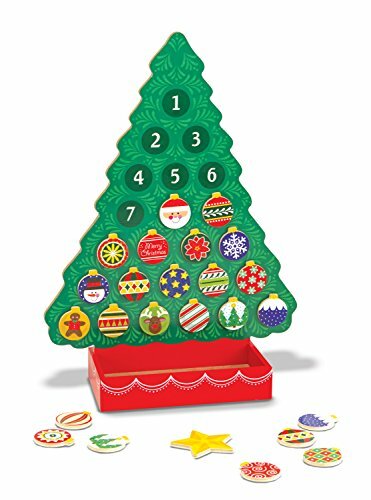 This printable Christmas countdown is the perfect hands-on way for your preschoolers to do that. Have your little ones glue a cotton ball on Santa’s beard each day. Start at 24 and count down to 1. 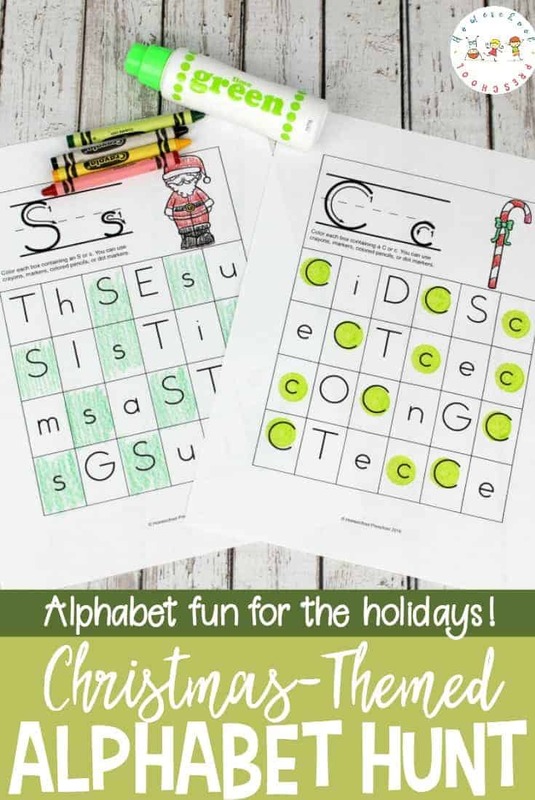 There are several different ways to use this letter template. Your preschoolers can write a wish list to Santa. Or, they can write a letter asking Santa questions about where he lives and what he feeds his reindeer. They’ll be so excited as they wait to see if Santa will reply. After doing a quick Google search on where to send letters to Santa. 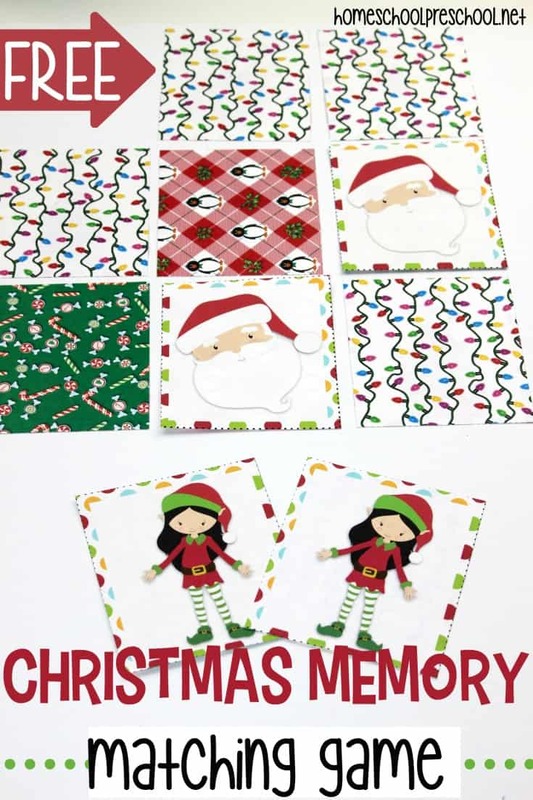 I found information at Simply Kierste about how to send a letter to Santa and receive a reply. I have NO idea if it works, but I figure it’s worth a try! I’m going to have Emma give it a try this year and see what happens. I’ll let you know if we get a letter back. If you try it and receive a reply, be sure to come back and let me know in the comments that it works. 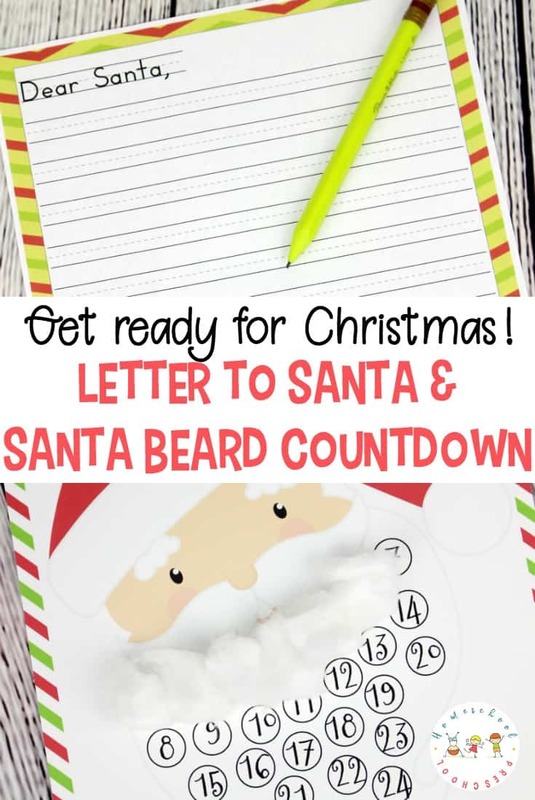 The printable Christmas countdown and Letter to Santa template pack is only available to my readers. 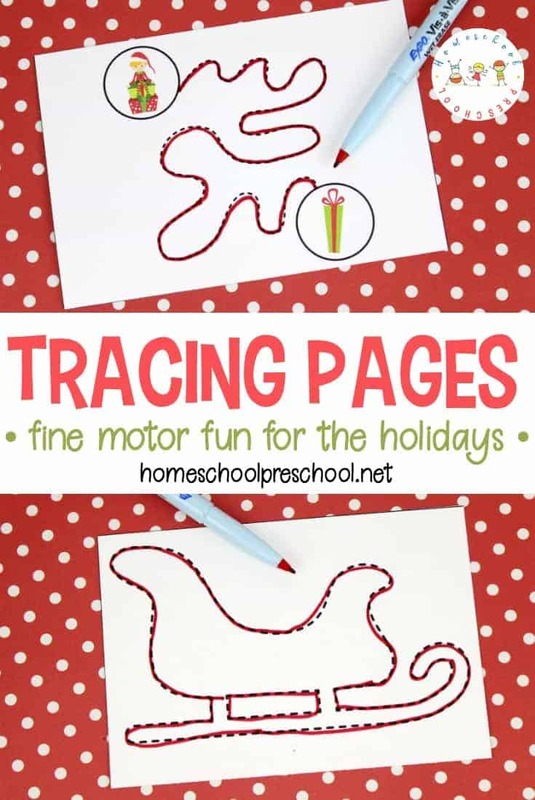 Click the button below, enter your information, and then click the link to download your printables.